Maritime union RMT will be taking the demands for a fair deal for British workers on Government Brexit ferry contracts direct to Ramgate Port tomorrow as Government chaos over arrangements deepens and fears grow of a stitch up that will open the door to exploitation of foreign nationals at the expense of UK seafarers. Despite repeated union attempts to secure assurances, Transport Secretary Chris Grayling refuses commit to the new Government-contracted services being crewed by UK seafarers – fuelling union fears that once again they will be staffed up with low cost foreign nationals working on shoddy, insecure conditions and paid below National Minimum Wage rates. 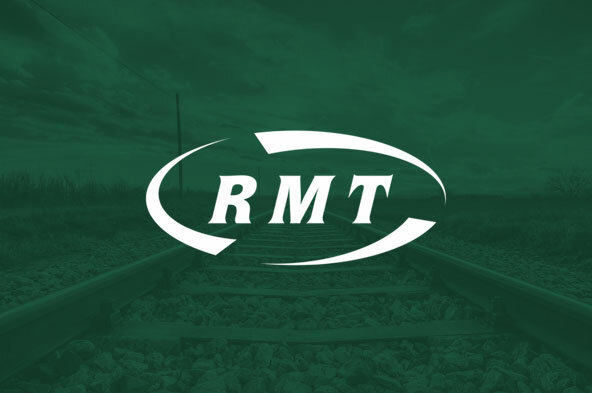 RMT will be holding the protest tomorrow, Tuesday 22 Jan between 11-11.45 am . 1. All ferries to be fully crewed up with UK ratings‎. 2. Recognition of UK trade unions. 3. UK employment laws to be fully complied with. The RMT protest comes after a slew of publicity around the Seaborne Freight contract awarded at public expense by Chris Grayling to a company with a shocking back-story, the on-going dredging of Ramsgate Harbour by a Dutch flagged vessel and new reports of serious problems for the rail network as the Government triggers a series of rail-freight panic measures. “There has been a barrage of publicity around the Government’s Brexit ferry contracts and the union has written to both Chris Grayling, who is in control of the arrangements, and the companies involved demanding basic assurances on UK ratings jobs, union recognition and full compliance with UK employment laws. The only response we have had back so far is an insulting and contemptuous tirade of abuse towards the front line ferry workforce from the Maritime Minister. “RMT has no intention of allowing any backsliding, or any stitch-ups of UK seafarers, and that is why we are making our position public with the protest in Ramsgate tomorrow morning. As part of our ongoing fight against Ships of Shame in British waters, where poverty pay below the minimum wage and shocking working conditions are endemic, we demand that Grayling’s contracts with Seaborne Freight, DFDS and Brittany Ferries are re-written to guarantee jobs and training for UK seafarers, as well as trade union recognition.